A lemon’s cleaning uses are really versatile. You can rely on this yellow fruit to sanitize pretty much anything you can think of – from your microwave to items made of brass. It has the power to remove unpleasant odors in a short amount of time. For instance, you can sprinkle your cutting board with it and then rinse it with some water to neutralize the smell of an onion you recently chopped on the board. 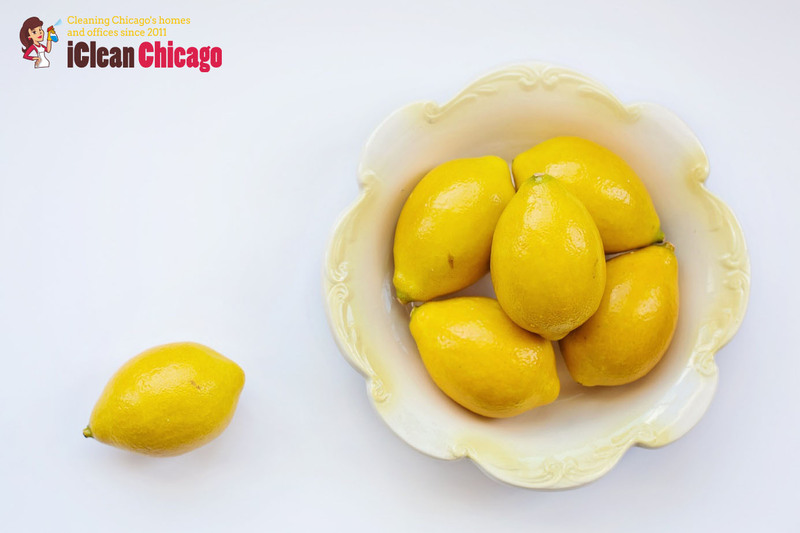 While you still have your cutting board out, you can chop the rest of the lemon, place it in a bowl of water and to then put the bowl in the microwave. Leave it switched on for approximately 15 minutes. After that, you will be able to easily wipe the interior of the microwave. Plus, that trick will give it a fresh smell. When life gives you lemons, add vodka. Do that to make your home sparkling clean. Unlike most other alcoholic drinks, vodka does not have a strong aroma. In fact, its composition can neutralize unpleasant odors. That is why you can mix it in a diffuser bottle with some water and essential oils and use this solution to spray your bedding or even your laundry if your washing machine has failed to remove some bad smell. When it comes to cleaning, ketchup is usually associated with stubborn stains but this food product that is rich in vinegar and acids. That makes it an ideal solution for the shining of brass, copper, cast iron, stainless steel and silver. Simply slather some ketchup on the items you want to clean and leave it for some time (30-50 minutes). After that, wipe off the delicious tomato-based sauce and rinse the item. It may not seem so at first sight but walnuts contain large amounts of natural oil. That is why you can use them to cover scratches on your hardwood floors or wooden furniture pieces. Just take a walnut, crush it two and rub the white part directly on the place of the scratch. In a few seconds, it will all be gone. Although these food-cleaning hacks are all tested, tried and guaranteed to get the job the done, you should also rely on professional cleaning technicians from time to time. That will enable you to keep your home thoroughly sanitized. Opt for special options such as time-efficient condo cleaning in Chicago to receive a service that perfectly matches your expectations and needs.